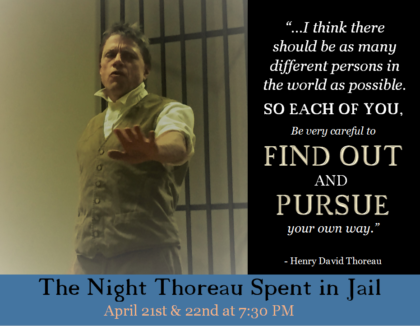 “The Night Thoreau Spent in Jail” follows Henry David Thoreau as he recalls memories of how he found himself in prison for not paying taxes. 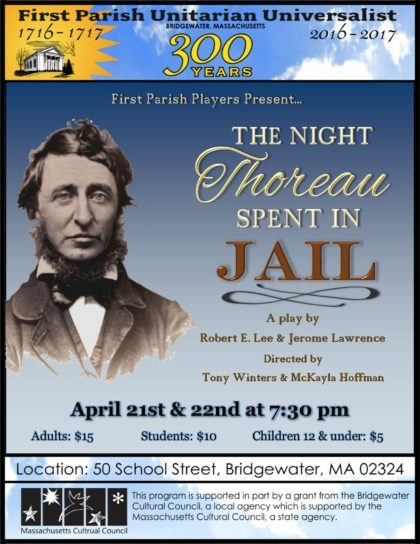 A slew of characters come into play in Thoreau’s life, including Ralph Waldo Emerson and his wife Lydia, the feared and stern Deacon Ball, and Thoreau’s brother John and mother Cynthia. 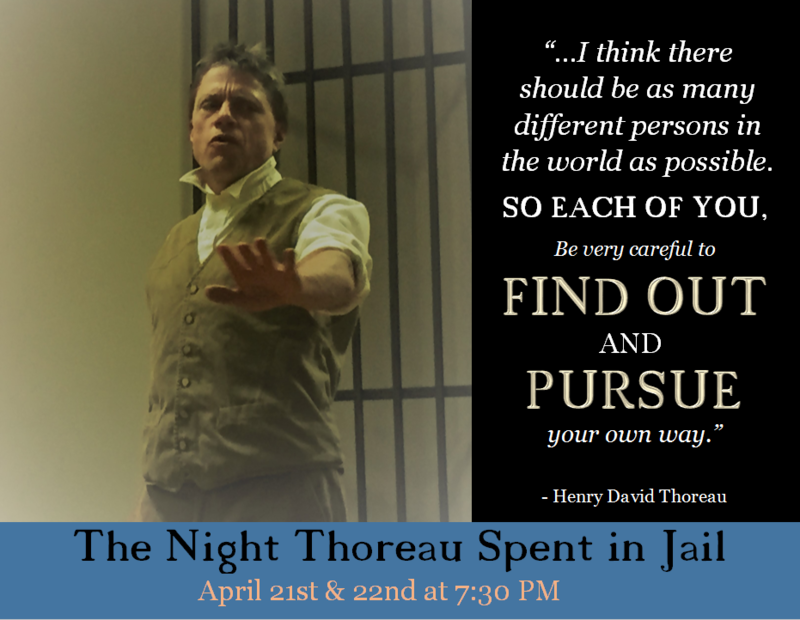 Ruminating on the teachings of this great modern philosopher, this play will leave audiences with a sense of wonder at the character of a man who has been revered for centuries. 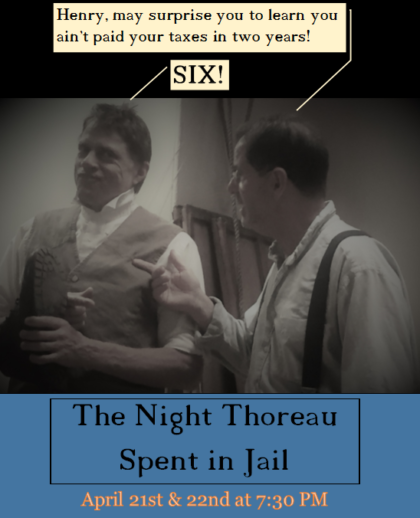 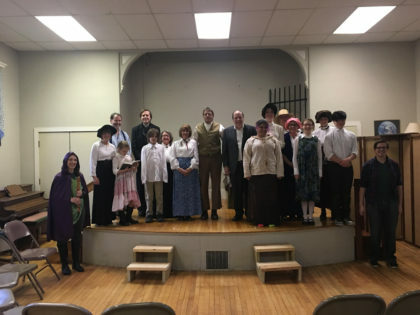 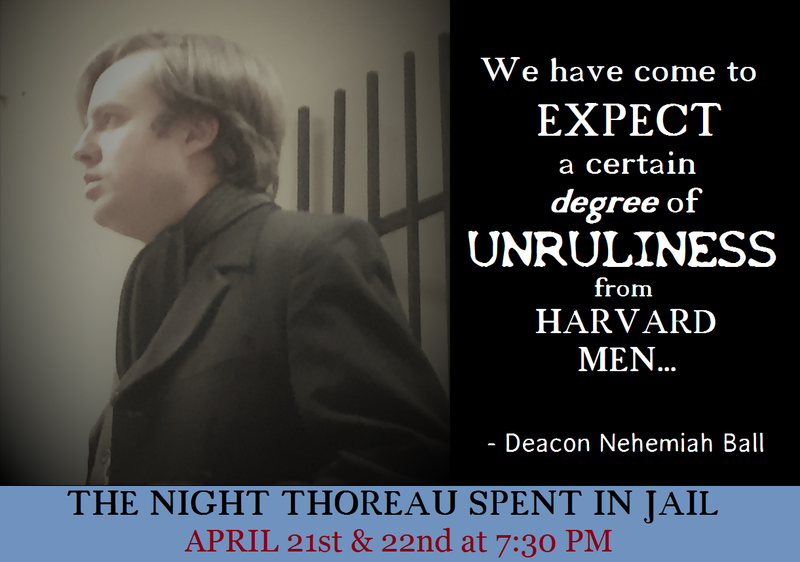 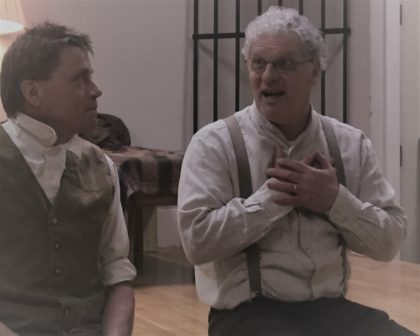 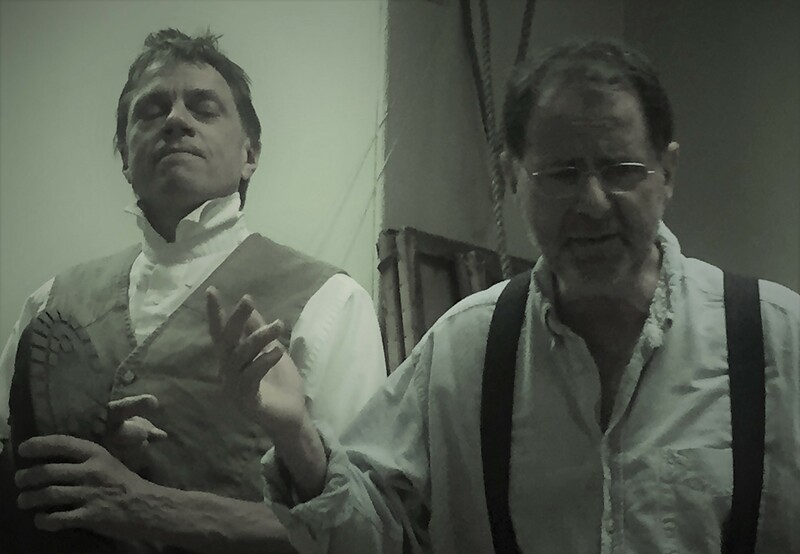 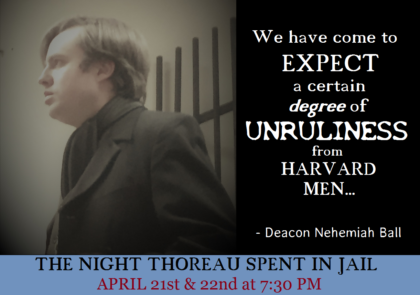 In commemoration of Henry David Thoreau’s 200th birthday, the First Parish Players presented “The Night Thoreau Spent in Jail,” April 21st and 22nd at 7:30 PM at First Parish Unitarian Universalist in Bridgewater.